A standard Makin drawstop organ with 45 stops using the top of the range live multi-sample technology. This instrument has 16 channels of amplification and 16 speaker cabinets typically containing 44 individual speaker drivers. 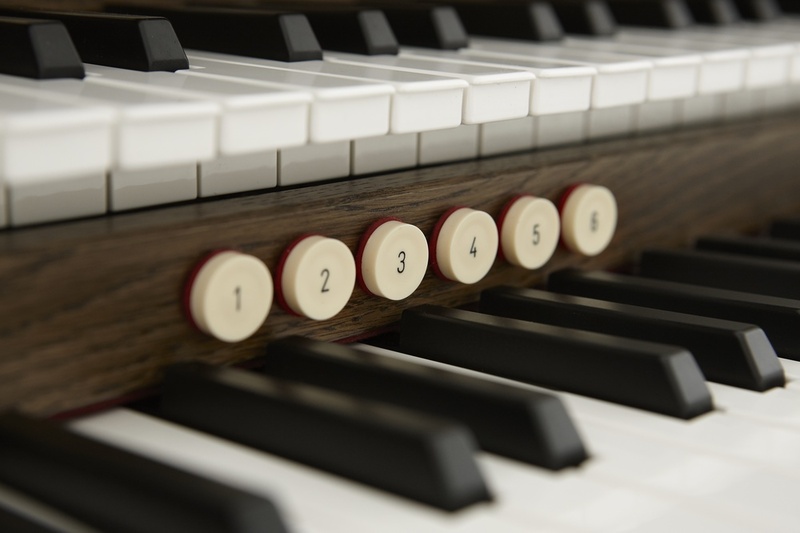 Having a high quality sixteen-channel audio system (14.2 configuration) this is the ideal three manual English organ for a great many situations. Combined with a UL speaker system it delivers realism and power in churches, chapels, halls and crematoria, whereas with a smaller system, which can easily be floor or wall mounted, it is the perfect instrument for home practice. As ever, we use one speaker per amplifier so this instrument containing a generous set of sixteen speakers for forty five speaking stops has a ratio of just over three stops per speaker, putting it in the exceptionally high quality range of sound. Of course the crowning glory of the 'Windermere' is that it is voiced in its various configurations to a very high standard by Professor Ian Tracey of Liverpool Cathedral. 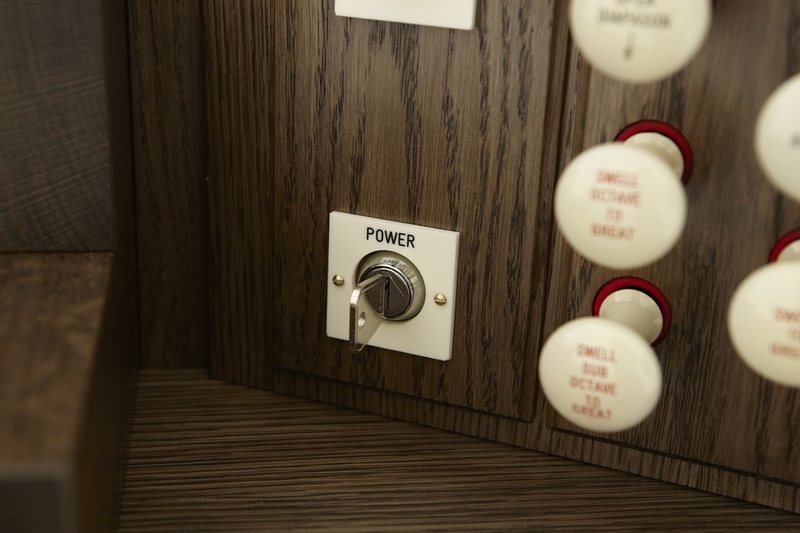 Ian has been involved in the design process including specification and choice of the most appropriate samples to use from our vast library to deliver that very special sound of a true English organ. 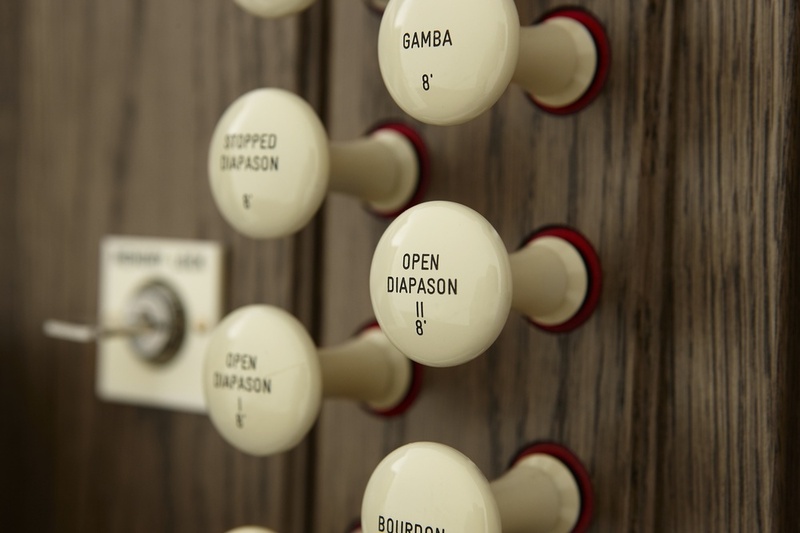 We provide a single English intonation using realtime live Multisamples with one sample for each note of every stop with nine channels of amplification (14.2) for use with use with nine external speakers bringing unsurpassed realism of the true pipe organ sound. 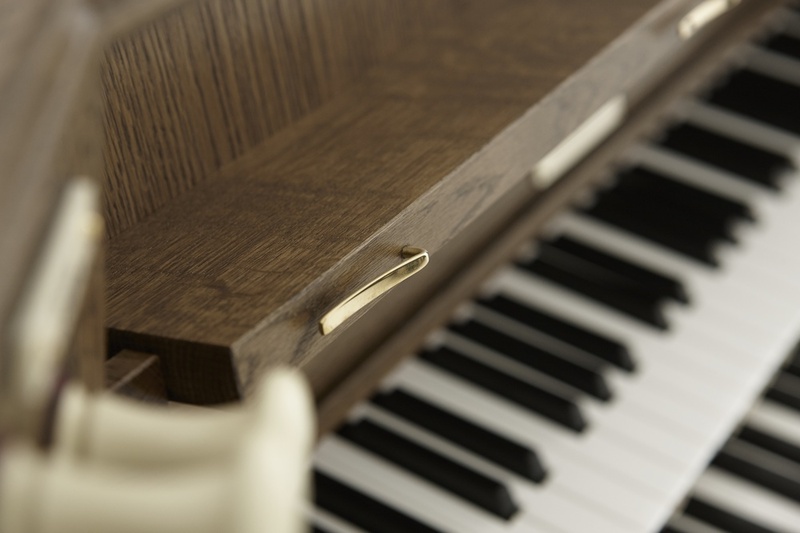 Our consoles are made from slow grown real oak and real oak veneer, available in many colours. They feature sixty-one note high quality tracker touch acrylic based keyboards (with wood core keyboards optional) and a full size thirty-two note AGO pedal board with all pedals made from solid wood. Our swell pedals are user definable. Out sturdy organ benches come complete with music storage space and optionally are height adjustable. 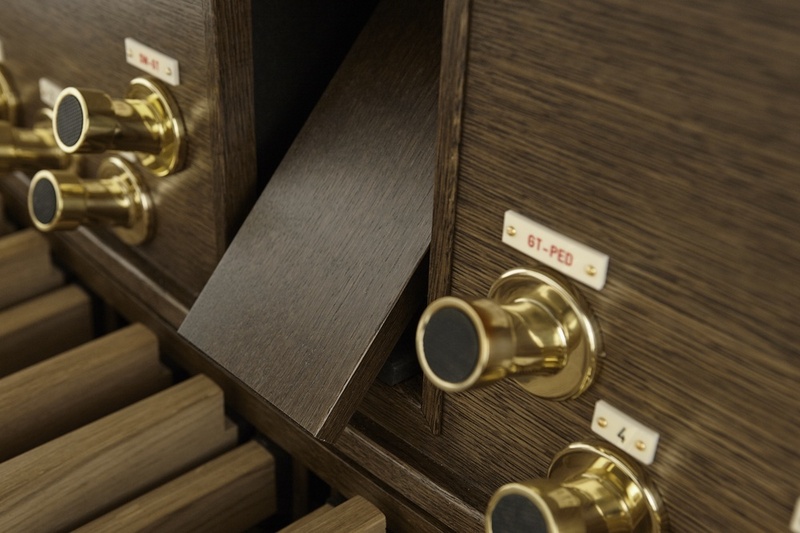 The final detailed touch is that our music desks have brass clips to hold your copy. 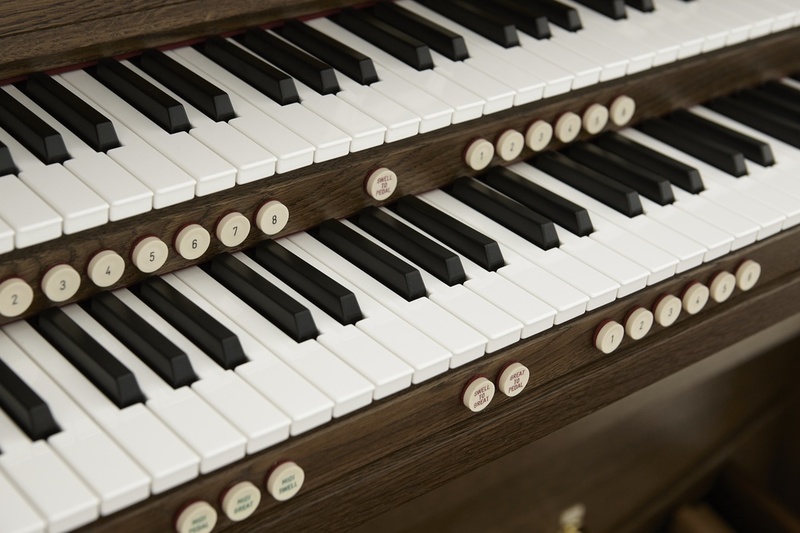 The organ comes with a full set of traditional English divisional and general pistons and toe studs with two hundred and fifty piston memories with key lock. In addition, there is a thumb piston for each interdivisional coupler and toe studs for Sw-Gt and Gt-Ped. Many other functions are controlled by a large control screen with easy to use menu system for including a graphical depiction of Swell pedal position, Overall volume control, Selection of Temperaments, Tuning control Transposition and Reverberation and much more. MIDI, auxiliary in/out sockets and headphone jack are all provided. Specific needs or wishes? We are glad to assist you! We are happy to provide you with an informational brochure.